If you have a car made by academy, post pics here! heres my sb sport, ive added front and rear sway bars bearings eveywhere and titianium turnbuckles. nice looking guys. I'll post mine today as long as the camera is working. See about adding your pics to www.4wdrc.com . 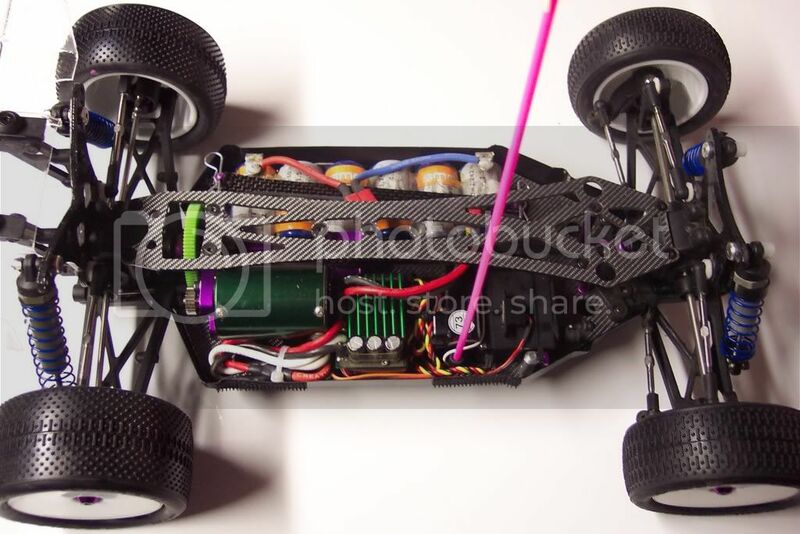 I wanted to drop you a line and let you know about the new motors that Team1rc.com sent me!! I drive for Team Academys 1/10 Touring Class. Whether your off road or on road like myself, try one of these babies in your ride!!! When I first open the box to my amazement, they come with motor boxes for storage. 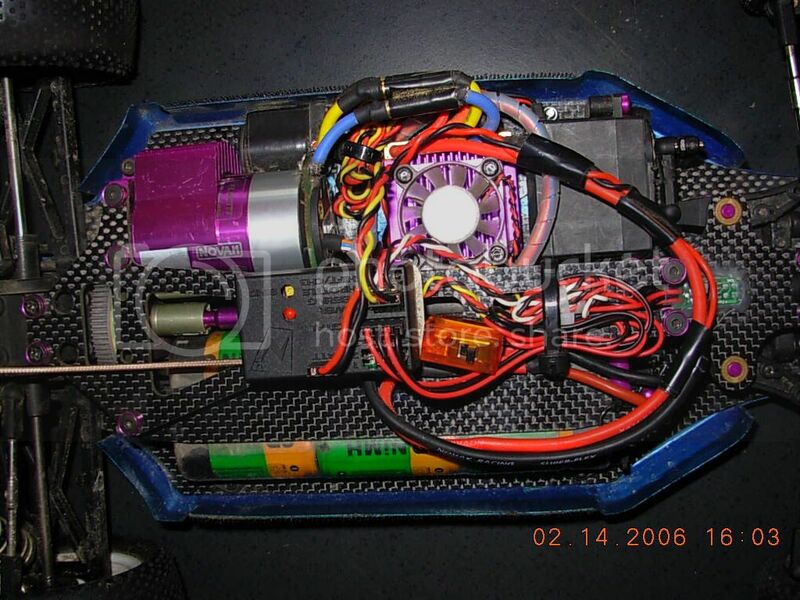 I took the lable off the original package and placed on the motor box / container for ID of each motor. I then began to inspect the motors, WOW! they have some mags in them thats forsure, very strong. I also looked at the brush hoods as I know they ( Team1rc.com ) said they know alot about motors. What nice alignement for the brushes and the springs?? Very First class, all the way. As I was looking at the package once again, I see they inclose a document of what the motor dyno'd and how it truely performs. I ran the numbers in my head and trusted these guys 100% as all the number on the sheet were not so over rated as I have seen from some companies out there. However,, they are I would say team quality motors and with my driving?? These motors will be my motor of choice from this day on. By getting these from them as one of my new sponsors per say,,,,It eliminates me from messing with brushes, dyno, and what?? it saves me time so I cna drive my car more!! I installed the one of the two lastnight. The only thing I can say is visit these guys. I am so gald I did and the quality and service once again so similar to Academy, you wont be sorry!!! Everyone has to start somewhere ya know?? atleast your where the action is and going to be soon. That is all I can say for now. Some new things are going on and have taken place. Its going to be sweet! Keep practicing jaejw1 and be consistant, thats where it truely is. Here that simple mod to adjust the front oneway. I do know, that most people do lock up front oneways as this is the way they are used, BUT?? I will say, there will come a time or two you'll need to loosen it slightly, and I do use the term specifically as it doesnt take much to loosen a oneway. The second and last pic is to show the length I have added to the upper rods get a better tire wear. I had issues with the wear before. If anyone needs I can drop them the spec measurements on my upper rods. 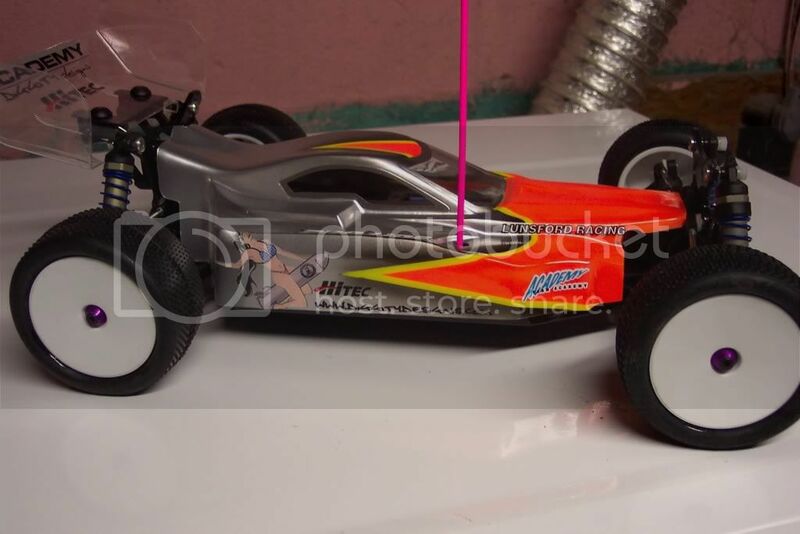 I had to loose my purple hpi however due to lack of lenght. I am insearch this weekend also to up grade all screws and rods to titanium. I found such screws and rods at a location that is non rc related!! Im now running the 27 and 32 rubber tires,,,,GOOD BYE FOAMS!!! I'll miss ya[&o] Currently 32 all around. 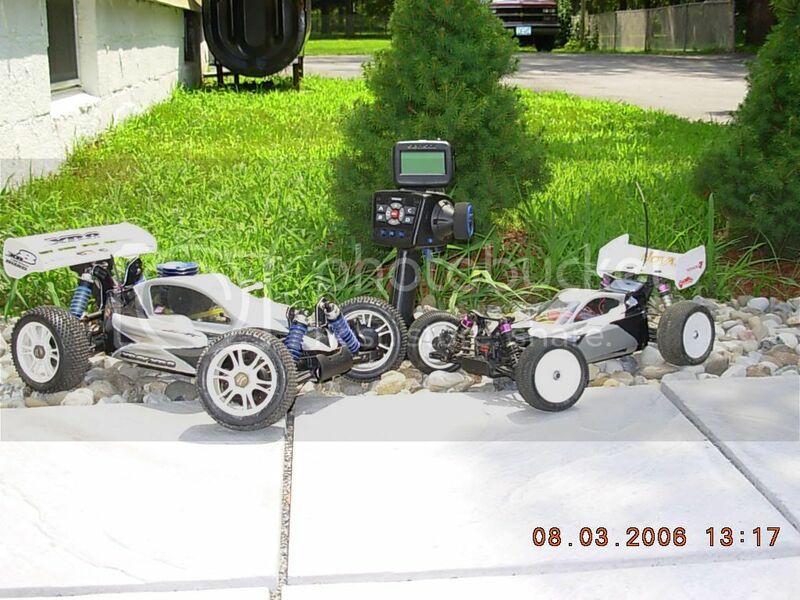 heres some of the Academy cars i play with. srry about the size. here is my academy sb pro. it finally got to race it the other weekend. nobody drives 4wd here so i never get to race it. 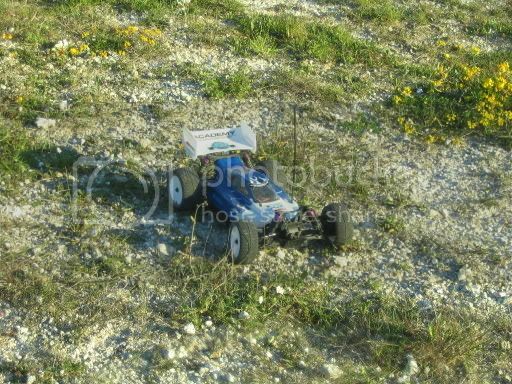 but i finally got to race it in the brushless open at the rcmonster bash. unfortunatly it didn't last too long against the huge all aluminum mt's . it was still fun though. I like the "Wilson" on your nomadio tx. nice touch. 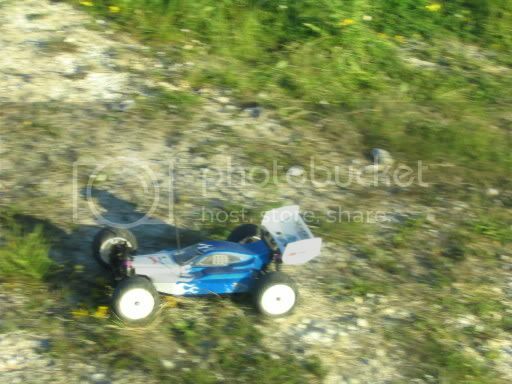 Here is my SBV2 buggy. It has all the MRC/ACADEMY goodies on it. Scroll down almost all the way and you will see it. Fresh build. Sb Sport v2. Next up are shocks, maybe b4 shocks. Newest setup, with b4 shocks. here are some pics of my newest ride... str-4 pro v1. 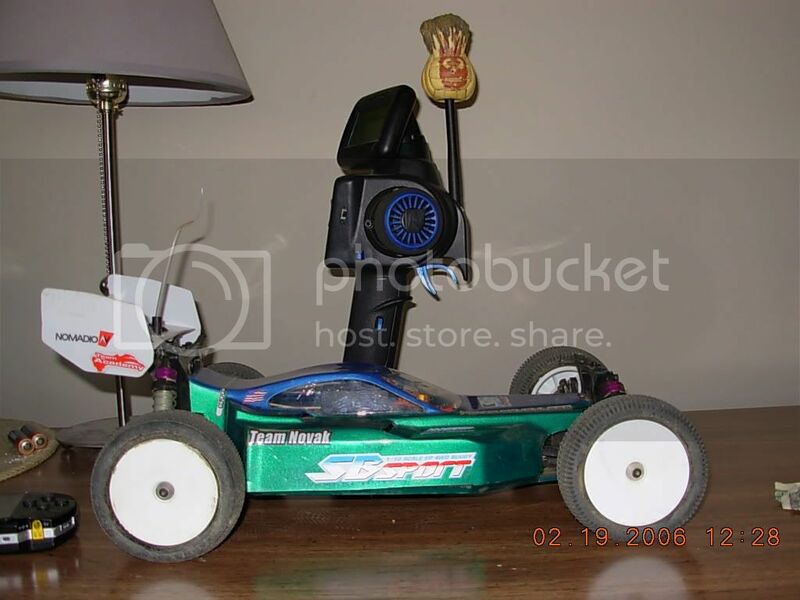 I never really planned on getting one, since I don't usually race onroad, but I got a great deal on this as a roller, and couldn't resist putting in a new mamba max / Nemisis blue combo. Its very fast and handles extremely well. I may have to convert over to onroad because of this thing. Its really a blast to drive.